Watch as heads turn your way wearing the Letarte™ Skull Lace Skirt. Allover lace skull lace design. Shell bit lace high-low hemline. 80% micro nylon, 20% spandex. Hand wash cold, do not tumble dry. 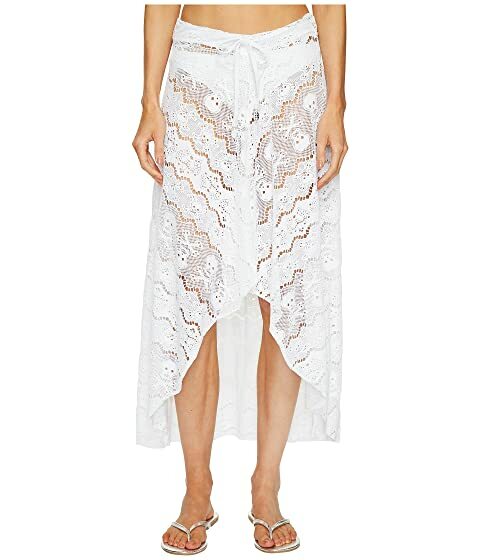 We can't currently find any similar items for the Skull Lace Skirt by Letarte. Sorry!